Battle: The Nature and Consequences of Civil War Combat. Unfurl Those Colors! : McClellan, Sumner, and the Second Army Corps in the Antietam Campaign. 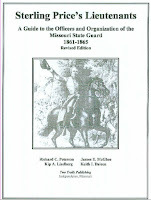 Guide to Missouri Confederate Units (I got an early look at rough drafts of the artillery and cavalry sections of Jim McGhee's manuscript. This will be a very valuable reference work). Guide to the Atlanta Campaign: Rocky Face Ridge to Kennesaw Mountain. Grant’s Lieutenants: From Chattanooga to Appomattox. Encyclopedia of Civil War Shipwrecks. Saddle Bag and Spinning Wheel: Being the Civil War Letters of George W. Peddy, M.D., Surgeon, 56th Georgia Volunteer Regiment, CSA. Wade Hampton: Confederate Warrior to Southern Redeemer. Causes Won, Lost, and Forgotten: How Hollywood and Popular Art Shape What We Know about the Civil War. Lincoln and the Decision for War: The Northern Response to Secession. Freedom for Themselves: North Carolina's Black Soldiers in the Civil War Era. Three Days in the Shenandoah: Stonewall Jackson at Front Royal and Winchester. Vital Rails: The Civil War History of the Charleston & Savannah Railroad. Guardian of Savannah: Fort McAllister, Georgia, in the Civil War and Beyond. Planting The Union Flag In Texas: The Campaigns of Major General Nathaniel P. Banks in the West. As It Was: Reminiscences of a Soldier of the Third Texas Cavalry and the Nineteenth Louisiana Infantry. Fire in the Cane Field: The Federal Invasion of Louisiana and Texas, January 1861–January 1863. Truly the "Greyhounds of the Trans-Mississippi", Walker's Division marched over 3,500 miles in military operations criss-crossing the states of Arkansas and Louisiana. These footsore men fought at Perkins Landing, Milliken's Bend, Bayou Bourbeau, Mansfield, Pleasant Hill, and Jenkins's Ferry. 12,000 strong at formation, Walker's Division was reduced by discharge and disease to 6,000 men before it ever fired a shot. The organization's entire combat history spanned a period lasting less than one year--from May 1863 to April 1864--, and, in that time, the unit suffered almost 40% combat casualties. With his book Walker's Texas Division, CSA, historian Richard Lowe provides us with the first complete history of this remarkable group of men. Prior to Lowe, perhaps the most well known chronicler of the division was Joseph Palmer Blessington, a private and later a non-com in the 16th Texas Infantry. His classic history The Campaigns of Walker's Texas Division was first published in 1875 [and recently reprinted by State House Press]. Additionally, a handful of Greyhound regiments have received recent scholarly attention, perhaps most notably by M. Jane Johansson [28th Texas Cavalry]1 and Thomas Reid [13th Texas Cavalry]2. For his division level study, Lowe's depth of original research into manuscript and other primary source materials is exceptional, allowing him the large sample size (1,557 men) needed for meaningful social history and analysis. Undoubtedly, the difficult task of assembling the data was helped by the formation's unusually uniform composition (every unit was from Texas) and its organizational stability, but Lowe richly deserves accolades for his diligence. Useful unit demography data is presented to the reader in a number of easy to read tables. Formed in the period after the initial wave of patriotic fervor (but before conscription), the men of Walker's Division were slightly older, much more likely to be married, less wealthy, and less likely to be a slaveholder3 as compared with earlier volunteers. Lowe's lengthy chapter detailing soldier letters home to their wives provides the reader with an insightful and often touching picture of the domestic life these men left behind. While the author's recounting of the campaigns of the Greyhounds is not likely to lead to significantly new interpretations of these events, the battle depictions are highly detailed (often at regimental level). The maps are helpful and original to the work. As for relevant strategic assessments of the Confederate army's Trans-Mississippi high command, Lowe's views are largely conventional. The author gives high marks to the leadership abilities of division commander John G. Walker, who led the Greyhounds through all the key moments of its history, and also to the quality of direction at brigade and regimental levels3. The fact that the division was able to train for an entire year before it ever participated in battle undoubtedly contributed to its unit cohesiveness and combat effectiveness. Division histories remain sparse in the Civil War literature, but Richard Lowe's well written and exhaustively researched study of Walker's Texas Division is exemplary. Lowe's efforts transcend the inherent difficulties of research into the Trans-Mississippi theater, and the result is a complete, model study of a truly unique unit. Highly recommended. 3 - Although still slightly overrepresented, the number of members of Walker's Division hailing from slaveholding families roughly matches that of the general population of Texas. 4 - Lowe's characterization of John H. Forney, who led the division during the war's latter moments when Walker was transferred to a district command, is enlighteningly shocking. In comparison with the personal behavior of Forney, Earl Van Dorn was an ascetic! The latest issue of North and South [10:4, pg. 41] contained an announcement for a new Civil War series to be edited by Gary D. Joiner. The Western Theater in the Civil War series "is to publish cutting-edge scholarship on the Civil War and Reconstruction" and "may include monographs or edited volumes," joining Tennessee's already impressive Voices of the Civil War catalog of books. I certainly appreciate the enlarging commitment of UT Press to Civil War publishing, especially with the western focus. I hope everyone had/is having a great Christmas holiday, surrounded by family and too much food [or the other way around]! Edwards: "The Prairie was on Fire: Eyewitness Accounts of the Civil War in the Indian Territory"
With The Prairie was on Fire, author Whit Edwards provides the reader with a compilation of primary accounts dealing with the many campaigns and battles fought throughout the Indian Territory. Limiting himself to strictly military matters, Edwards nevertheless consulted upwards of 70 manuscript repositories and numerous secondary sources to put together this useful volume. This is not a narrative history. Short contextual passages serve only as introductions and transitions for the minimally edited primary accounts. Helpfully, each account included is fully annotated so interested readers and researchers can seek out the materials themselves. While the book is well constructed hardcover (at a very reasonable price to boot) and nicely illustrated, it would have benefited from more maps. The single map included is a reproduction of an 1866 study of the eastern half of the territory. Both experienced readers and those new to these obscure events will likely have trouble visualizing the terrain. Granted, the actual location of many of these military actions are highly controversial even today, but useful maps do exist [some in the publisher's own Chronicles of Oklahoma journal]. Cartographic quibbles aside, this book should serve as a useful compilation of source materials for those whose research interests extend to the Civil War in the Indian Territory. The press of the Combat Studies Institute and Command and General Staff College (CSI/CGSC Press) has made available some interesting .html or .pdf downloads [or both] available on their website. The six Civil War staff rides are some of the more recognizably germane items. I've only glanced through the Wilson's Creek staff ride, but it looks useful. For the best visual clarity, I would highly recommend the .pdf versions over .html viewing (as usual). A welcome Petersburg reprint - "Breaking the Backbone of the Rebellion"
A. Wilson Greene's Breaking the Backbone of the Rebellion: The Final Battles of the Petersburg Campaign is by all knowledgeable estimations an excellent military study, originally published by Savas Publishing in 2000 and later reissued by Da Capo. Of course, I delayed purchasing a copy, and now prices for these out of print editions are getting a bit too steep. Fortunately, University of Tennessee Press will soon be rescuing people like me with its new reprint , scheduled for Feb 2008. Alternatively, interested readers who do not wish to read an entire book on the subject may consult Greene's excellent distillation of the book in Blue & Gray Magazine (Vol. XVIII #3). It's a very well done issue and covers some of the same ground. Speaking of B&G, the current issue, mailed this week, is my most anticipated of recent memory. The Battle of Davis Bridge is one of the few battles I've done original research for [much of this work went into the Corinth campaign wargame I designed with John Tiller, published by HPS Simulations]. Note the picture here of my wife holding the issue. That little devil. Although even dedicated students of the 1861-62 New Mexico Campaign will perhaps question the need for the publication of another overview history, Distant Bugles, Distant Drums author Flint Whitlock is largely correct in his assertion that previous works shade their focus toward the Confederate side of the story. By placing the Union effort at the forefront, Whitlock sets out to restore a balance to the campaign’s historiography, and succeeds admirably. Beginning with an introduction to the U.S. army’s pre-war role in the desert southwest, the author quickly centers his attention on the emerging strategic importance of the Colorado territory. With conflicting popular loyalties threatening trouble during the secession crisis, the territory was largely unified in its support of the Union by the time actual hostilities broke out in 1861. According to Whitlock, much of this success should be attributed to the political leadership of Governor William Gilpin. The depth of coverage for this period in Distant Bugles is one of its major strengths. This original contribution alone warrants the book’s placement on a list of standard reference works for the campaign. After setting the stage, Whitlock, integrating his own original research with some of his predecessors’ specialized work, also constructs a creditable if not groundbreaking military history of the campaign. The author’s analysis of military events and his leadership assessments for both sides will be familiar to those already up to date with the current literature. Coverage of the campaign’s key battles at Valverde and Glorieta Pass is reasonably detailed, with much of the action conveyed to the reader through extended passages gleaned from participant accounts. To a small degree, this narrative structure can be mildly disruptive to the text’s flow, but it’s well executed for the most part. Another source of minor criticism would be the book’s light coverage of the other Union responses to the Confederate invasion (i.e. Carleton’s California column and the additional Federal relief forces assembling in Kansas). On the other hand, both author and publisher deserve high praise for the decision to include over two dozen fine maps. Ranging from large-scale operational overviews to detailed tactical maps, the book’s cartography contributes greatly to reader understanding. Other visual aids sprinkled throughout the text include a number of thoughtfully chosen photographs of people and places. By focusing on the Federal response to the Confederate invasion of New Mexico (and Colorado’s political and military role in particular), author Flint Whitlock has made an important contribution to the literature of the campaign. 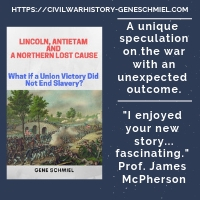 While casual Civil War readers can certainly benefit from this enjoyable and eminently readable volume, Distant Bugles, Distant Drums should be considered required reading for researchers and students of the campaign. Thanks to The Biographer's Craft editor James M. Morris for the newsletter link that updates us on the progress and specs of Michael Burlingame's upcoming Lincoln biography project [seeing the photo, I wonder how often Burlingame gets "Sen. McCain, you've lost weight" when strolling around in public]. I am pleasantly surprised at how reasonable the price will be for this monster 2-vol. set. With extra notes and a wiki-type associated online version, the cross media aspects are interesting as well. Finally, the last two paragraphs of the article remind us of the indispensability of university presses. Briefly - "To Take Charleston: The Civil War on Folly Island"
Pictorial Histories has been publishing noteworthy heavily illustrated books since the late seventies, but their output, at least that segment dealing with the Civil War, appears to have ceased. Over the past few years (as long as I've known of its existence) the website catalog of Civil War books hasn't included any new additions -- in fact, the site doesn't appear to have been updated since 2004. However, there are some interesting out-of-print volumes to discover or rediscover. I recently picked up James W. Hagy's To Take Charleston: The Civil War on Folly Island [Pictorial Histories, rep. 1997]. It's an oversize 8 1/2 x 11 paperback* that is chock full of maps, illustrations, tables, and photographs in addition to the text narrative. The book follows the initial Union occupation of Folly Island on through its use as a fortified jumping off point for the assault on Morris Island. The author also includes a long chapter detailing the rigors of camp life on the island. Some information about the Federal units serving there is also included. To Take Charleston is a documented and worthwhile volume to add to the collection of readers interested in the lengthy, difficult coastal operations around Charleston. As of this writing, the few copies I've seen on the secondary market can be obtained inexpensively. * = The first edition is staple bound with wraps (1993) and the reprint is a better quality adhesive bound paperback (1997). I've read both at different times, and while the page numbers vary (87 vs. 91), the content appears unchanged if memory serves me correctly. Whether the length difference is indeed due to additional content or simply format changes, I cannot say as I don't have current access to the 1st edition. Skim Milk Yankees Fighting: The Battle of Athens, Missouri, August 5, 1861 by Jonathan Cooper-Wiele (The Camp Pope Bookshop, 2007). The first detailed study of this early, northeast Missouri battle between the Unionist Missouri Home Guard and the Missouri State Guard. A review will be up for this one very soon. A Slight Demonstration: Decatur, October 1864, Clumsy Beginning of Gen. John B. 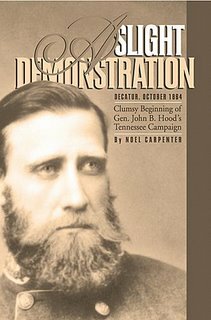 Hood's Tennessee Campaign by Noel Carpenter (Legacy Books & Letters, 2007). Thanks to Carol Powell for publishing her late father's manuscript and for sending me a copy; and also to Paul Taylor for bringing it to my attention in the first place on his blog.(add. inquiries to: Legacy Books & Letters, Publisher, 8308 Elander Dr., Austin, TX 78750-7842, 512-340-0321). You won't find much info online; the Decatur Daily article link appears dead but the one from the Hartselle Enquirer is still up here. Counter-Thrust: From the Peninsula to the Antietam by Benjamin F. Cooling (University of Nebraska Press, 2008). 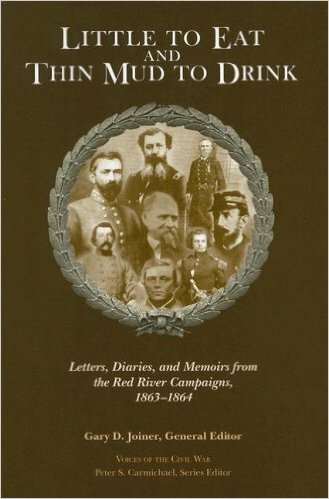 The latest and 10th volume from Nebraska's Great Campaigns of the Civil War Series. “We Are Coming Father Abra’am”: The History of the 9th Vermont Volunteer Infantry, 1862-1865 by Don Wickman (Schroeder Publications, 2005). These three books are my first exposure to Schroeder Publications. I am interested in this one mainly for the Vermonters' participation in the North Carolina & SE Virginia campaigns. Looks like a high quality publication, heavily illustrated with detailed, annotated text. Shepherdstown: Last Clash of the Antietam Campaign by Thomas McGrath (Schroeder Publications, 2007). This is the first book length study of this battle. Tarheels: Five Points in the Record of North Carolina in the Great War of 1861-65 (Schroeder Publications, 2000 reprint w/ new intro). Geier and Potter (eds): "Archaeological Perspectives on the American Civil War"
A fascinating 1980s National Geographic article on the projectile mapping of the Little Bighorn battlefield was my introduction to modern battlefield archaeology. The technology and methodology introduced was truly novel and supplied a professional model for others to follow. Much of this legacy is wonderfully displayed in Archaeological Perspectives on the American Civil War. Considering the mainstream popularity of both the ACW and archaeology, it is a bit surprising to see so few books utilize the intersection at depth [Earl Hess's scholarly field fortification studies published by UNC Press immediately comes to mind]. This volume, edited by anthropologist Clarence Geier and archaeologist Stephen Potter, makes a very strong case for promoting the role of inter-disciplinary archaeological study in the examination of Civil War history. Archaeological Perspectives contains a great number of articles that should enlighten interested readers as to method & technique, and how they can be used to draw conclusions about not only battles and battlefields, but also everyday life in camps, hospitals, farms, towns, and forts -- the material culture and lifestyle of both soldiers and civilians. At the heart of this collection of essays is the view of the Civil War battlefield as a "cultural landscape" that cannot be fully understood without input from a variety of academic disciplines. Historians, archaeologists, and anthropologists take the lead in this cooperative effort. While the focus is on the work of professionals in these fields, it is refreshing to see an acknowledgment of the pioneering work done by amateurs in the use of metal detection technology. The book's eighteen chapters [see this link for a complete table of contents] are too densely detailed and variable in content to independently cover in a review of this length, but some general comments are in order. The volume is divided into three main parts [I - Tactics and the Conduct of Battle, II - The Home Front and Military Life, III - New Methods and Techniques]. Articles in Part I discuss the use of archaeological data in determining battle lines and tactical movements [at Brawner's Farm and Cool Spring]. Other chapters deal with archaeological issues surrounding the submarine C.S.S. Hunley, field fortifications at Atlanta, and the interdisciplinary approach used to identify individual remains on the battlefield. In Part II, readers learn about artifact analysis and its role in the study of the material culture of military camps, along with farms, towns, and other aspects of domestic life affected by the conflict. Part III details the field's use of modern technology and methodology. Survey techniques (including metal detecting) are discussed, as well as projectile analysis and artifact distribution mapping and analysis. Rarely does an edited compilation cover so much ground, and in such depth of detail and analysis. Additionally, the reader is struck throughout by the practical (and broad) usefulness of the research data obtained by these studies. Rather than providing incremental advancements to narrow specialties, the knowledge gained from these studies overlaps expansively into other fields. In addition to the quality of the text, Archaeological Perspectives is wonderful to look at. It is profusely illustrated with photographs, drawings, battle maps, tables, artifact maps, and distribution plots. These figures and illustrations are intimately tied to the text, an essential aid to reader understanding. I wouldn't hesitate to recommend this fascinating survey of Civil War archaeology to a broad range of readers. It's detailed enough for a specialist to appreciate, yet will not overwhelm the interested generalist with technical minutiae. Highly recommended. 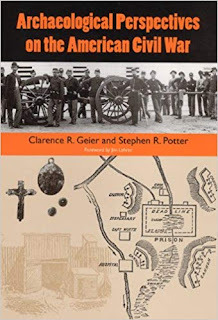 See also, a companion volume Huts and History: The Historical Archaeology of Military Encampment During the American Civil War (Univ Press of Florida, 2006). The A.M. Pate, Jr. Award winner is Steven Mayeux for his book Earthen Walls, Iron Men: Fort DeRussy, Louisiana, and the Defense of Red River (University of Tennessee Press, 2007). The honor conferred upon Mr. Mayeux is well deserved. I reviewed this book earlier in the year (link). Speaking of Civil War book awards, as the Chairman of the Robert E. Lee Civil War Library & Research Center, I would like to announce that this year's winner of the Dr. James I. Robertson Jr. Literary Prize for Confederate History is Brian D. McKnight for his book Contested Borderland: The Civil War in Appalachian Kentucky And Virginia . The Robertson Prize, which honors Dr. James I. Robertson, was established in 2000 and confers the award to the author of the best orignial work of published scholarship in the field of Confederate History for a calendar year. Past winners of the Robertson Prize have included Rod Gragg, Frank O'Reilly, G. Ward Hubbs, John Fox, Earl Hess, and Kent Masterson Brown. If you'd like to read my review of McKnight's book, or refresh your memory if you already have, click on this (link). The 2007 Laney Prize (sponsored by the The Austin Civil War Round Table of Austin) went to A. Wilson Greene for his book Civil War Petersburg: Confederate City in the Crucible of War . I'd never heard of this award before, which is devoted to ACW political and military history scholarship. I may have mentioned this one previously, but Russell Bonds' Stealing the General: The Great Locomotive Chase and the First Medal of Honor won the 2007 Richard Barksdale Harwell Book Award. Certainly one of my 2007 favorites. The Barondess/Lincoln Award (CWRT of NY): Gabor Boritt for The Gettysburg Gospel: The Lincoln Speech That Nobody Knows . The Lincoln Book Prize: Douglas L. Wilson for Lincoln’s Sword: The Presidency and the Power of Words . Images of Civil War Medicine: A Photographic History [by Gordon Dammann DDS and Alfred Bollett MD, Demos Medical Publishing, 2007] is a profusely illustrated (photos, maps, drawings) general introduction to the people and practices of Civil War medicine. As indicated by the title, photography is the book's main focus, and according to the authors, many of the selections are published for the first time. The image subjects range from individual CDVs (of surgeons, nurses, wounded men, etc.) to photos of field stations and hospital buildings. The text is a brief but comprehensive overview of a variety of topics (e.g. photographic technique, medical education, nursing, dentistry, ambulances, hospitals, wounds, and disease). While the ARC has some issues of image quality and presentation, these would presumably be addressed in the final publication. Also, while notes were included, it is hoped that a full bibliography will be added. With its large collection of previously unpublished surgeon CDVs from both sides, this volume should be of interest to students of Civil War medicine and photography. New Camp Pope release: "Skim Milk Yankees Fighting"
As announced today in the newsletter, and just in time for Christmas, the Camp Pope Bookshop has just released Skim Milk Yankees Fighting: The Battle of Athens, Missouri, August 5, 1861 by Jonathan K. Cooper-Wiele [(The Camp Pope Bookshop, 2007) Softcover, 168 pages, 55 photographs, 3 maps, roster, notes, bibliography, index, paperback 6 x 9. ISBN 978-1-929919-12-3. $14.95]. As regular readers know, I've been following the progress of this project from afar for quite some time, and I am excited to see the final results. I should have a copy fairly soon. Using dozens of contemporary and historical sources never before brought together in one book, author Jonathan Cooper-Wiele places a detailed narration of the battle against the backdrop of the historical events in Missouri and the rest of the nation that led to the Civil War. The maps are new, drawn by Athens Park Ranger Matt Kantola, making use of archaeological discoveries of the last 20 years. And most of the 55 photographs have never before been published. Skim Milk Yankees Fighting is a 168 page quality paperback, with 55 illustrations, three maps, notes, bibliography, index, and, published here for the first time ever, the reconstructed rosters of men sworn to the service of the United States in the 1st and 2nd Northeast Missouri Home Guard, as gathered in 1863 by the Hawkins Taylor Commission. Until now, the fine but short Missouri Historical Review article by Leslie Anders was pretty much the only thing going in terms of published information about this battle. Can't wait. Walker’s Texas Division, C.S.A. : Greyhounds of the Trans-Mississippi by Richard Lowe (Louisiana State University Press, 2006). 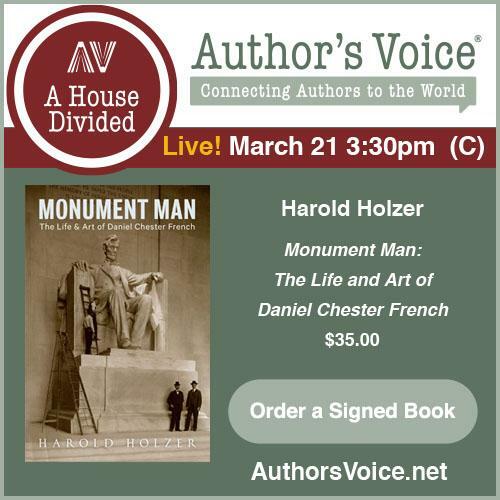 Paperback reprint of the 2004 hardcover release that won the 2004 Jefferson Davis Award (sponsored by the Museum of the Confederacy). I'm a fan of Lowe's work, and this is a long overdue acquisition. His contribution to the Civil War Campaigns and Commanders series, The Texas Overland Expedition of 1863 , is among the best of the bunch. Cry Havoc! : The Crooked Road to Civil War, 1861 by Nelson Lankford (Viking, HC Jan 2007, SC Dec 2007). I reviewed the hardcover edition (see above link) for North & South soon after release but it hasn't appeared yet. This is the December 2007 paperback . The current Amazon reviews as of this writing are rubbish; it's a fine book. The Civil War on Pensacola Bay, 1861–1862 by John K. Driscoll (McFarland, 2007). This one just arrived and I've only glanced quickly through the bibliography and text, but it looks promising. Up to this point, the best study of Pensacola and the Civil War is George Pearce's excellent Pensacola During the Civil War: A Thorn in the Side of the Confederacy (Univ Press of Florida, 2000). New revised edition of "Sterling Price's Lieutenants"
Currently on schedule for a mid-December 2007 release, the long awaited new edition of Sterling Price's Lieutenants*(ed. and compiled by R. Peterson, J.E. McGhee, K. Daleen, K. Lindberg) will soon be available. 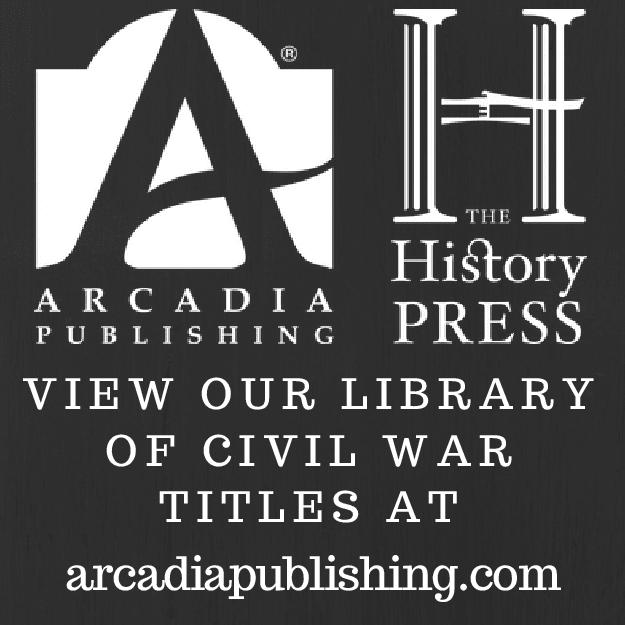 It's an essential research and reference resource for the study of the Civil War in Missouri. Older edition(s) [Two Trails, 1995?] are quite scarce and expensive. The new ed. sports many improvements and revisions. * - To find the book listing, scroll down either the 'R thru S' or the 'New on the Shelf' links from the sidebar at left. Masich: "THE CIVIL WAR IN ARIZONA: The Story of the California Volunteers, 1861-1865"
Arizona’s place in the Civil War limelight was relatively brief, with most attention paid to the successful trek of General James H. Carleton’s “California Column” across the desert southwest in response to the 1861-1862 Confederate invasion of New Mexico. While dealing with this important event in some depth, Andrew Masich’s new book The Civil War in Arizona goes much further. Along with recounting the logistical preparations for a desert march of several hundred miles, the author details the process of organizing, arming, and equipping Carleton’s combined arms force. The soldiers saw little actual fighting against Confederate foes during the advance into Arizona, with the skirmish at Picacho Peak providing the most excitement, but occupation of the territory from 1862-1865 brought innumerable conflicts with the nearby Apaches. Importantly, Masich recognizes the role of Spanish-speaking native volunteers and friendly Indians in aiding these U.S. army operations. Although military events certainly comprise a large segment of the book’s narrative history [note: for the Confederate viewpoint, L. Boyd Finch’s Confederate Pathway to the Pacific is recommended], the author is also interested in the territorial conflict’s social, political, and economic ramifications. Military rule replaced what civilian government existed, and Masich attributes much of the genesis of the region’s economic development to Gen. Carleton’s military and civilian policies. Soldiers built bridges and improved hundreds of miles of trails into serviceable wagon roads. Additionally, military couriers provided mail service throughout the settled areas. Carleton also had a creative solution to the problem of soldiers deserting for the gold fields—he had his commanders frequently detach entire companies to work their own claims. Hundreds of ex-soldiers remained in Arizona after the war, and the lasting effects went beyond simple economic development with educated men taking numerous community leadership roles. The Civil War in Arizona is actually two books in one. In addition to his narrative history, Mr. Masich has compiled and edited a large number of newspaper articles written by soldier-correspondents during their wartime duty in Arizona. Filling almost two hundred pages of text, these letters, originally published in the San Francisco Daily Alta California, will be a great resource for other researchers. In addition to contributing voluminous footnotes for the letters, the author also helpfully places the writings within the context of the journalistic/literary standards of the time. With this book, Andrew Masich has made a significant and original contribution to the literature of the Civil War in the Far West. Beyond filling in yet another historiographical gap, The Civil War in Arizona also serves as a nice companion volume to another recent monograph written from the Union point of view, Flint Whitlock’s Distant Bugles, Distant Drums: The Union Response to the Confederate Invasion of New Mexico . This is scholarly convergence at its best. Buker: "Blockaders, Refugees, and Contrabands: Civil War on Florida's Gulf Coast, 1861-1865"
Unlike perhaps any other study of the Union blockade of the southern coastline, George Buker's history of the East Gulf Blockading Squadron focuses on internal political and economic developments. According to the author, these blockaders of Florida's western coastline were uniquely successful in their ability to facilitate a civil war within a Confederate state2. Buker makes a strong case overall. In addition to providing arms and supplies to dissident Floridians, the fleet cooperated directly with organized pro-Union irregulars in the disruption of vital Confederate salt production and cattle procurement. Operating under the umbrella of the U.S. Navy, refugee camps protected the families of pro-Union/anti-Confederate Floridians. The establishment of contraband camps served the dual purpose of breaking down the institution of slavery in the state and providing recruits for USCT units. Buker credits the East Gulf Blockading Squadron with the novel creation of an army regiment [the 2nd Florida Cavalry (U.S.)]3 by the navy. The 2nd Florida cooperated with the 2nd USCT in operations along large stretches of the Gulf coast. As blockade running in this region was characterized by the use of small sailing schooners, close cooperation with locals was critical to success. Unfortunately, when the U.S. army took over oversight of these units, they alienated segments of the sympathetic populace by requiring regular enrollment in exchange for help, and ending the arming and supplying of independent irregulars. Changes in naval leadership also led to increased friction. By taking Civil War naval studies in a fresh direction, George Buker has produced a significant contribution to the literature. Blockaders, Refugees, and Contrabands should be considered essential reading for those interested in examining the Union blockade, the South's inner civil war, and the degree of interaction between the two. 1 - 4 Tables. They list known members of local pro-Union guerrilla bands and those enlisted in Federal units. 2 - According to Buker, the same opportunity for fomenting civil conflict in the state existed for the South Atlantic Blockading Squadron off Florida's east coast, but the navy and army [Dept. of the South] displayed little interest. 3 - The 1st Florida Cavalry (U.S.) was organized by the army in East Florida [Dept. of the South], but the effort was largely an organizational failure. 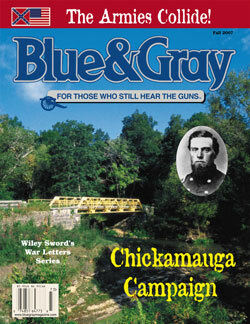 Blue and Gray Magazine is in the middle of a stunningly good five-part series by Chickamauga expert William Glenn Robertson. Through Part III (.pdf link), Robertson is just opening the battle itself. His operational history of the campaign up to that point is the clearest, best written account I've come across. Thanks to Dave Roth and the rest of B&G, each volume contains more maps than one can expect to find inside even the best of battle histories. The attached driving tour guides make the series even more valuable. I look forward to the final two installments, and get the feeling the series will be a valuable collector's item as well. There is something to be said for a family run publication, one that starts with deep commitment and maintains consistent editorial oversight. It's gratifying to see a popular Civil War magazine that demonstrates such conspicuous improvement in content and presentation with each passing year. Joiner, ed. 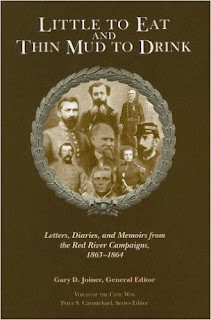 : "Little to Eat and Thin Mud to Drink: Letters, Diaries, and Memoirs from the Red River Campaigns, 1863-1864"
As Voices of the Civil War series editor Peter Carmichael writes in the foreword, Little to Eat and Thin Mud to Drink is a fresh attempt at a new kind of campaign history, one constructed from the ground up. Rather than a narrative dominated by generals and politicians, this superbly edited compilation stresses the individual experience, the necessarily limited perspective of a single person caught up in the swirling chaos of battle, the passage of armies, or the remembrance of defining moments of the past. General Editor Gary D. Joiner begins the study with a brief discussion of the historiography of the Red River Campaign. The writers of the first person accounts he and his team edited are then introduced. Each account [letters, diaries, memoirs, even a song] is prefaced with a nice contextual introduction by one of the editors. Of course, the value of works of this type are limited without explanatory notes and the ones provided in this volume are uniformly excellent. The notes are lengthy, numerous, and exquisitely detailed. Exhibiting the depth of the editor(s)' knowledge, they are enormously helpful to general readers and specialist researchers alike. While readers with no prior familiarity with the Red River Campaign may run into some difficulties in understanding the larger picture1, Joiner and his team do a fine job of tying the individual experiences to the wider events of the campaign, and also to each other where possible. For instance, Consolidated Crescent Regiment soldier James Jarratt's Mansfield memoir2 is nicely dovetailed with that of a Vermont member of Nims' Battery. These two units faced each other almost head-on at Mansfield. In an attempt to broaden our understanding of the conduct and consequences of the Red River Campaign, both military and civilian accounts were selected. Writings of participants below officer level are rare for this campaign, and their inclusion here adds greatly to the value of the study. Some selections serve as a counterpoint to prevailing wisdom. For example, while Edmund Kirby Smith is roundly criticized in the literature, the editors chose to include a private letter sympathetic to the commanding general, written by one of his staff officers to a family member3. On the civilian front, the diary of a young woman (Miss Sidney Harding) forced to flee her home is included, along with a commemorative song written by two local ladies. The memorial theme is most prominently examined in J.E. Hewitt's monument dedication pamphlet. Unusual for a book of this type, Thin Mud is well stocked with cartography, photos, and other illustrations. Maps range from large area views to detailed tactical expositions. The Mansfield maps are particularly well done, both for their level of detail and for their close relationship with the text (e.g. Joiner placed numbers on the Mansfield maps, that, as indicated in his explanatory notes, correspond to places and events described in Jarratt's detailed memoir). Five appendices provide both standalone information and supplementary materials. Orders of battle are included, along with a listing of Mississippi Squadron vessels and a helpful campaign timeline. Additional annotated Harding and Knapp diary entries are placed here. A multifaceted work that delightfully exceeded my expectations, Little to Eat and Thin Mud to Drink is a uniquely valuable addition to the historiography of the Red River campaign. I heartily concur with Carmichael's stated hope that prospective Voices editors will seek to emulate for other campaigns the interpretive approach4 that Joiner and his team have so successfully employed with this one. Highly recommended. 1 - For these readers, the campaign timeline included as an appendix should be quite helpful in this regard. For a quick but thorough introduction, I would recommend Ludwell Johnson's classic Red River Campaign: Politics and Cotton in the Civil War or Gary Joiner's One Damn Blunder from Beginning to End . 2 - Jarratt's remembrance is one of the finest personal accounts covering the Red River Campaign; it's only enhanced by the fact that the author grew up near the battlefield and is intimately acquainted with the landscape. Although written decades after the battle, his articulate account is richly detailed and challenges many of the established interpretations of events from the Battle of Mansfield. 3 - Lt. Cunningham's case is not persuasive, but it is illustrative of the fact that no officer is universally condemned. 4 - That's not to say this newer approach is better than more traditional ones. It's an added piece of the puzzle. When considered in isolation, it has relative deficits of its own, regardless of what one feels about the artificiality of narrative history. Southern Storm: Sherman's March to the Sea by Noah Andre Trudeau (HarperCollins, Aug 2008). Eric mentioned a while back that Trudeau was working on a Sherman's March project, but this is the first public notice I've come across. There is certainly plenty of room for a full study. 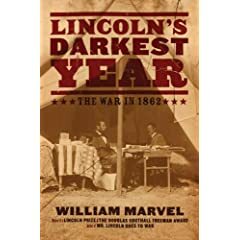 Lincoln's Darkest Year: The War in 1862 by William Marvel (Houghton Mifflin, July 2008). I think I heard or read somewhere that Marvel was planning a three volume series, so I wonder if this is Part 2. This one is from the same publisher, anyway. Marvel's earlier study [reviewed here] received a generally mixed reception, but I find his often provocative views to be always worth a listen. Hilderman: "They Went into the Fight Cheering! : Confederate Conscription in North Carolina"
Book length studies of Confederate conscription at any level are relatively rare, and this documented manuscript by Walter Hilderman is a welcome contribution to the literature. Readers will likely find that North Carolina's often sharp geographic, economic, and political divisions contribute to a particularly interesting examination of the subject. Hilderman writes well and makes use of a mix of primary and secondary sources. Three correspondence collections in particular showcase well the experiences of soldiers responsible for enforcing the conscript laws in the state. However, while the text's reproduction in full of so many of these reports and letters can be helpful, there were many instances in which pertinent excerpts would have served just as well, if not better. Footnotes and endnotes are present, with the sources and explanatory notes the author feels most interesting to readers chosen for placement at the bottom of the page. They Went into the Fight Cheering! gives readers a good sense of the realities of enforcing conscription laws amongst a populace with a highly varying degree of support of the Confederacy. A satisfactory amount of organizational and bureaucratic detail is provided in the text without becoming cumbersome. Difficulties are highlighted, both internal and external. Some regions in the state (particularly the western counties) harbored large, increasingly organized bands of deserters and conscription resisters. The Confederate military also exacerbated Conscription Bureau problems by allowing the army to directly recruit replacements, bypassing conscript camps of instruction and creating a bureaucratic mess. In fact, the battle over military vs. civilian control of conscription (and their contrasting degree of regard for individual civil rights) lasted until the end of the war and was a common theme of Hilderman's study throughout. While the author notes that the North Carolina conscription apparatus run by Mallett was exceptionally effective, he does not provide the comparative data from other states that would impactfully backup his claim. Detailed data for counties or congressional districts [the typical bureaucratic boundary] are similarly beyond the study's scope. They Went into the Fight Cheering! also serves as a reasonably detailed unit history of the military organizations* (primarily Mallet's Battalion) responsible for Conscription Bureau duties such as enrollment and camp administration & security. As the war dragged on, these companies were frequently drawn into combat duty, notably during the 1863 Kinston/Goldsboro raid. Hilderman's study is probably not the last word on conscription in North Carolina, but it is a fine comprehensive introduction to the program at the state level. Beyond providing insight into the men involved in enforcement, it also yields a useful leadership and organizational assessment. * - For interested readers, two appendices are included. The first lists officers attached to the Conscription Bureau of the various congressional districts in NC. The second is a unit roster of Hahn's Battalion. To Take Charleston: The Civil War on Folly Island by James W. Hagy (Pictorial Histories, 1993). I read this one earlier in the year and just got around to purchasing a copy. It's an interesting illustration-heavy book that's out of print, but a few reasonably priced copies remain on the market. 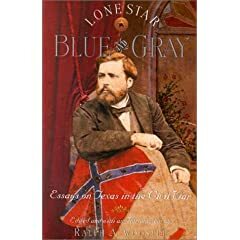 Lone Star Blue and Gray: Essays on Texas in the Civil War ed. by Ralph A. Wooster (Texas State Historical Association, 1995). This volume collects sixteen previously published journal articles dealing with political, economic, and military aspects of Texas' Civil War. Blockaders, Refugees, and Contrabands: Civil War on Florida's Gulf Coast, 1861-1865 by George E. Buker (Fire Ant Books / Univ. of Alabama Press, 2004). A fine study of the Union coastal blockade and disruptive inland operations, in cooperation with the significant Unionist element of Florida's population. Blood, Tears & Glory by James Bissland (Orange Frazer Press, 2007). This is a textbook style, narrative history of the entire war that focuses on the contributions of Ohio politicians, soldiers, and civilians. However, the role of (mid)westerners in the achievement of ultimate Union victory is so well documented in the literature at this point that there is little reason to maintain that their efforts continue to be overlooked. Issues raised by the needlessly off-putting How Ohioans Won the Civil War subtitle aside, B,T&G appears to follow a familiar path for the seasoned Civil War reader. Guerrillas, Unionists, and Violence on the Confederate Home Front ed. by Daniel Sutherland (University of Arkansas Press, 1999). This is another great essay compilation from U. of Ark. Press. Well known experts contribute eleven chapters covering an aspect of home front violence in a particular state. Excellent. Camp Chase and the Evolution of Union Prison Policy by Roger Peckinpaugh (University of Alabama Press, 2007). Hess: "Trench Warfare under Grant & Lee: Field Fortifications in the Overland Campaign"
-------------------- Trench Warfare Under Grant & Lee is the middle volume of Earl Hess' planned trilogy examining the evolution and role of field fortifications in the Civil War's eastern theater. The first book [UNC Press(2005) reviewed here] covered the period 1861-1864, and introduced the interpretive themes1 at the heart of the author's analysis. This second volume, a structurally and thematically seamless continuation of Hess' research, studies the critical 1864 Overland Campaign (to include the battles of the Wilderness, Spotsylvania, Bermuda Hundred, North Anna, and Cold Harbor). Hess begins with an overview of the engineer officers and units employed by either side during the Overland Campaign. Lee placed Maj. Gen. Martin L. Smith2 in the position of chief engineer, and the Confederates assigned a single battalion, the 1st Confederate Engineers, to the Army of Northern Virginia. On the Union side, Brig. Gen. James C. Duane served as chief engineer of the Army of the Potomac during the campaign. The author's brief service biographies of engineer officers serving under Duane, men like James Morton, Francis Fahrquar, Nathaniel Michler, and Ira Spaulding, introduce readers to these important, yet little celebrated, figures. Those familiar with the Official Military Atlas will undoubtedly recognize Michler, whose artistic cartography graces many of its plates. Hess makes an excellent sidepoint of the danger of relying on these engineer maps in isolation. The placement of even major topographical features often varied widely between maps covering the same area3. While helpful, prior familiarity with the literature of the Overland Campaign is not required for the reader to grasp the essential point of this study, which basically provides an operational and grand tactical examination of the campaign in the specific context of the expanding role of field fortifications. Pursuant to this aim, the planning and deployment of engineering assets are given special attention in the narrative. Although Hess relies heavily, both descriptively and analytically, upon Gordon Rhea's multi-volume military history of the campaign for background information, the central ideas of Trench Warfare are drawn from the author's mass of original research and personal surveys of the earthwork remains on the various battlefields. Detailed cartography is an essential element of a study of this type, and the effort put forth by author and publisher in this regard is first rate. Maps trace existing earthworks, and note salient features such as gun emplacements, traverses, ditches, rifle pits, communicating trenches, and bombproofs. Relevant battlefield topography, such as ravines, are also duly noted. Many of these drawings are placed within a lengthy appendix that also discusses field fortification design and construction. My only quibble is with the lack of a distance scale and more thorough orientation aids for those readers that would like to visit the sites. While detailed tactical discussions are beyond the scope of the series, Hess makes note of the unique problems associated with attacking fortified positions. Simply passing over friendly trenches would often disrupt formations. Linear formations fractured while passing through obstructions and lacked the ability to exploit breakthroughs, while the alternative use of columns of regiments, brigades, or divisions led to the dilemma of where to place the supports. Units in close support often only added to the confusion (and casualty lists) as these formations quickly intermixed with the lead regiments. Supports placed far to the rear also experienced difficulty in exploiting gains as enemy reserves would reach the front before these friendly supports could be brought forward. Grant is faulted for the constant operational maneuvering of exhausted units in order to find a weak spot in Confederate defenses, and also for the lack of proper reconnaissance before launching assaults. Entire corps (especially II Corps) were ground down, their offensive effectiveness severely crippled by frightening levels of attrition in experienced officers and men. Of course, time spent by Union forces on rest, reorganization, and intelligence gathering only allowed Lee a window he would use to fortify his lines into a state of near impregnability. These problems would never be adequately solved. Trench Warfare Under Grant & Lee is another well researched, astutely analyzed, and richly illustrated study by Earl Hess. It concludes with the siege-like quality of the overall situation at the front in the aftermath of the failed June 3 assault at Cold Harbor. The extensive network of fortifications constructed during this short period and the first tentative attempts at regular siege approaches were a harbinger of the type of warfare that would be conducted at Petersburg. Unfortunately, for that discussion, we must patiently await the third and final installment of this landmark, scholarly series. 1 - As outlined in volume 1, and excerpted from my earlier review: Hess rightly contends that the inclination to construct field fortifications existed in one form or another throughout the entire war. It was a question of degree. He also argues that the progression of trench warfare was intimately tied to commanders’s evolving conceptions of offensive and defensive action. An early war commander planning a tactical offensive generally would not consider entrenching his force as that would indicate a static posture. Similarly, an undecided leader often viewed entrenchments as limiting his tactical options. It is also asserted that the increased killing range of the rifle had far less to do with the average infantryman’s desire to dig in than did the increasingly constant nature of close contact between opposing armies in the second half of the conflict. The author also demonstrates that the nature of the war’s increasing reliance on earthworks was not linear but rather was characterized by fits and starts interspersed with periods of actual regression, where the preceding campaign’s lessons seem to have been forgotten. Perhaps uniquely among historians, Hess places the watershed moment of this evolution of trench warfare in the east at Chancellorsville. 2 - Smith, a division commander at Vicksburg, was a highly experienced officer in the construction of defensive earthworks. While not particularly well-known today, he served Lee exceptionally well during the Overland Campaign. 3 - For example, there is the tendency for no two depictions of a particular road network to agree; even major thoroughfares can be missing or drawn miles apart. Engineers often had to reconnoiter under fire, impairing their ability to construct accurate topographic maps. This reviewer suggests that interested readers examine the maps in the O.R. Atlas depicting Richmond and Corinth to get a clear idea of the enormity of the contrast between various efforts. Shiloh-philes will continue to be rewarded. Earlier this year, Savas-Beatie published a wonderful edited edition of O. Edward Cunningham's Shiloh and the Western Campaign of 1862. Next year, another much wished for Shiloh classic, D.W. Reed's The Battle of Shiloh and the Organizations Engaged , will be reprinted by University of Tennessee Press (May 2008). My familiarity with Reed's work is only by reputation, but would venture to guess that this will certainly be another highly anticipated Civil War title for next year. All or part of Reed's study is available already from Google books (link), but I am sure true Civil War bibliophiles will want the new print edition. Copies of Phil Gottschalk's award-winning unit study In Deadly Earnest: The History of the First Missouri Brigade pop up only occasionally on the secondary market, usually commanding prices in the high double digits. 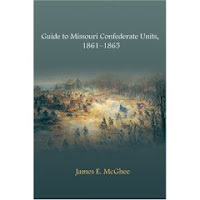 I am pleasantly surprised to find that it is now back in print, having recently run across an advertisement for the new Missouri’s Civil War Heritage Edition of the book. The product description on the website is unclear in the way of details (binding, etc.).[add. : a reader contacted the publisher and confirmed to me that it's a hardback. thanks, Jim!]. The new translation of War and Peace by the celebrated duo of Richard Pevear and Larissa Volokhonsky has been in the print news quite a bit lately. I am getting an itch to revisit this behemoth (I first read it back in high school), with a special interest in renewing my acquaintance with the author's commentary on war and his controversial philosophy of history. Thankfully, my uncle sent me a copy of Isiah Berlin's classic The Hedgehog and the Fox: An Essay on Tolstoy's View of History . It's a fascinating read. Berlin's insights are useful no matter what your background and probably should be considered required reading before tackling the novel. According to Berlin, Tolstoy vehemently rejected academic historians' concepts of "power" and "forces". These are empty, meaningless terms, deluded attempts to explain history through constructs like great men and great movements. To Tolstoy, true history is composed only of inner events -- the thoughts, desires, loves, hates, etc. of individuals. Tolstoy believed these "infinitesimals" [whether this is Berlin's term of Tolstoy's I don't know] could be the basis of a 'differential' of history -- a historical calculus. Of course, any attempt at formulating a scientific basis of history failed on all counts, incredibly frustrating the Russian. How can one possibly uniformly quantify the seemingly unmeasurable qualities of the infinitesimals? On the other hand, pragmatically ignoring the scientific/mathematic difficulties, some current Civil War history does strike me as Tolstoyian in a general sense. Observers and historians who answer the question "Who freed the slaves?" with "themselves" seem to be channeling the great writer. A somewhat recent article by Steven Newton [N&S, Vol.8#6] that utilized the concept of "emergence" to explain the active/passive resistance of Richmond's slave population also had elements of Tolstoy's philosophy of history. According to the author, resistance among the slaves was spontaneous and independent, only masquerading as a wider organized movement. I would guess that there is a large segment of Civil War social historians (especially those concentrating on race and gender) sympathetic to Leo Tolstoy*. * - Although I believe the essential determinism of Tolstoy's theory would be almost universally rejected.